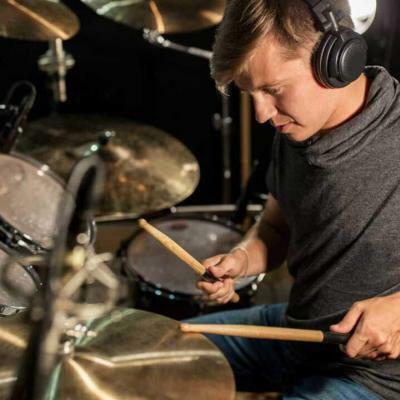 Drummers, in general, are often regarded the most overlooked members of any band because they are usually relegated to the background and can, as some perceive, only make noise while the others play. 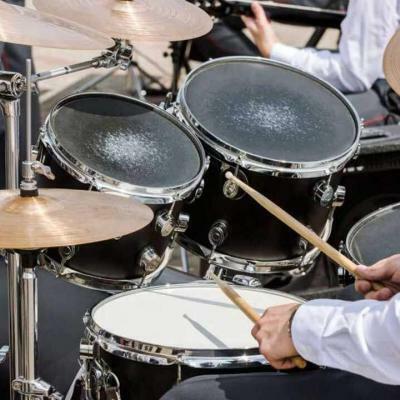 However, playing the drums is no easy task as you have to know how to sit on a drum throne without falling over after every drum roll or wipeout. Some people think that drum sets are just part of the background where the drummer sits on a chair and creates a lot of noise that somehow blends in with the rest of the instruments; a few don’t even see the drums at all. 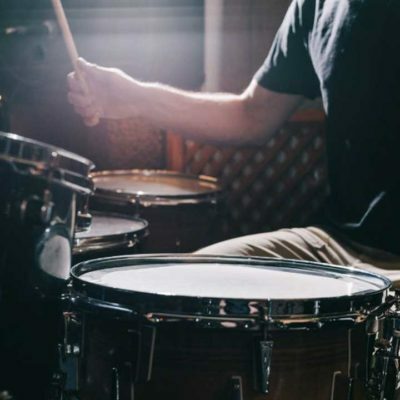 For the majority of the people who know their music, drum sets the overall mood of the song the band is playing, especially if every beat synchronizes well with the bass while the rest of the instruments try to catch up. Then, of course, there are the expansive drum solos that let drummers take the center stage while the rest watch in awe, or change their instruments and rest their puny hands, whatever. 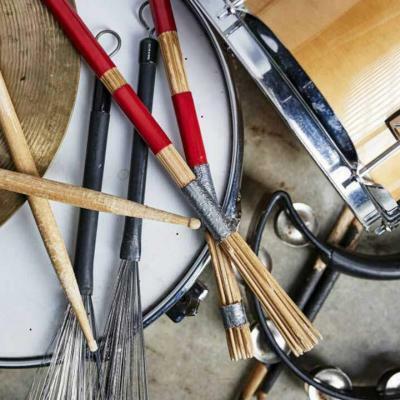 But what exactly is the role of the drum set in music? Music without drums, without percussion, is mostly like the compositions of old where the violin reigns and cello soothes the soul. The world of music would be monotonous without the sonorous voice of the bass and the loud claps of the cymbals. It can be postulated by looking at the tools that were used during the past eras that drums and percussions were the first instruments that mankind discovered. Of course, all you needed back then was a large leg bone and a hollow shell. 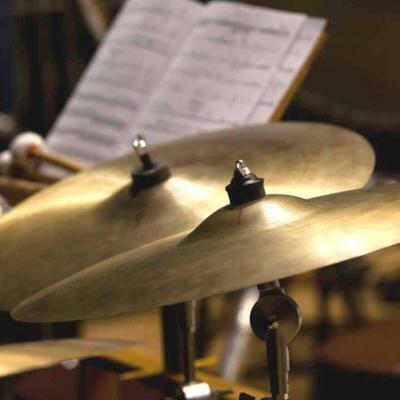 The role of drums in music is substantial in every music genre you can think of. It dictates the drop of the bass in hip-hop and sets the beat for dance music, while it is integral in the general composition of rock and metal songs, as well as pop and jazz. It can be quite hard to imagine music without drums or percussions, although it is doable however boring the result may be. In any case, it is the drummer that does all these, and the drum sets are but his medium of expression. Aside from a well-tuned drum set, a drummer also needs to know how to sit on a drum throne properly. But what is a drum throne? It sounds regal because of the word “throne” but technically, a drum throne is an upholstered stool that drummers can sit on while they play the drums. 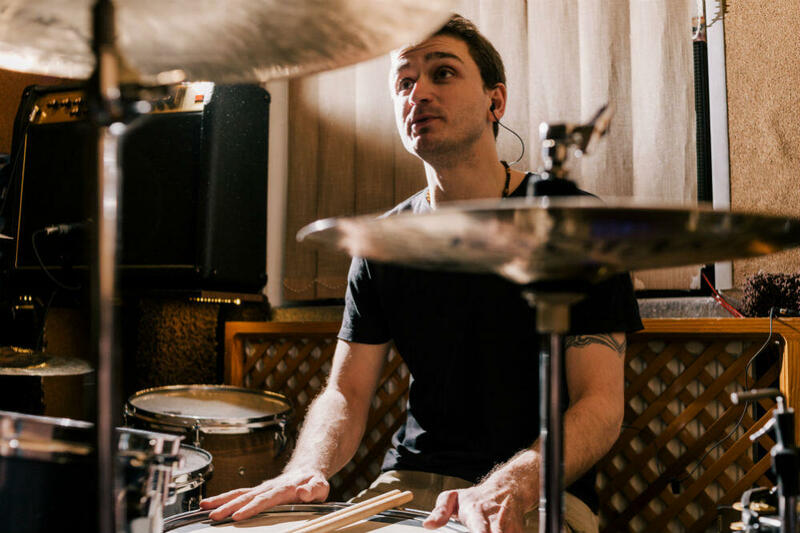 It can be defined as simple as that, but the role that it plays while the drummer sits on it has a lot of impact with the quality of sound that will be produced. Drum thrones aim to provide a comfortable seat to a drummer who will be spending more than a few minutes sitting down while hitting all the percussive instruments that surround him. This furniture, ideally, should be able to provide stability while the drummer sits on it. A drum throne may look like an ordinary stool, but there are some few things that you can look at to determine if a throne is rightfully yours or not. DO NOT pick a throne made from the swords of your fallen enemies. Pick one that is soft and comfortable as this would help you sit longer in the chair. Ideally, the foam should be made of a material that does not clump together when moist, like cotton and fiber fillers. Drum thrones can and will undergo a lot of stress coming from sudden movements and long-term use, so the best drum throne should be made of sturdy materials that offer stability as well. Not all drum thrones are the same as some will be your basic stool while others would offer a swiveling base or a pocket for your drumsticks and whatnots. 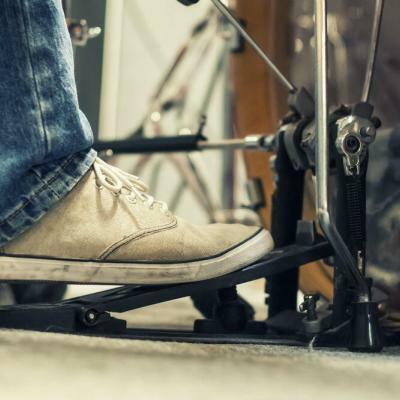 Step 1: Position your legs by sitting on the throne alone and forming a V-shape to cover the bass with your dominant foot and the hi-hats with your lesser foot. Step 2: The distance between the throne and the bass should be wide enough not to feel cramped, especially when you do a lot of jumping while playing. Make sure that your ankles are ahead of the knees. Step 3: Adjust the drum throne height so that you maintain the proper posture while seated on the throne. Generally, your thighs should be higher than your knees. Step 4: Most modern drum throne models come with easy-adjust options while older models can be adjusted using a wrench or a pair of pliers. Step 1: Make sure that the seat has enough height so that your thighs are slightly on a slanted position coming up from the knees. Step 2: The legs should be spread apart, usually perpendicular to each other, with the hips as the intersection. Step 3: The thigh part going down the ankles should be angled at about 90 degrees as well, with variations owing to the skeletal and muscular composition. Step 4: Keep your back straight as much as possible. 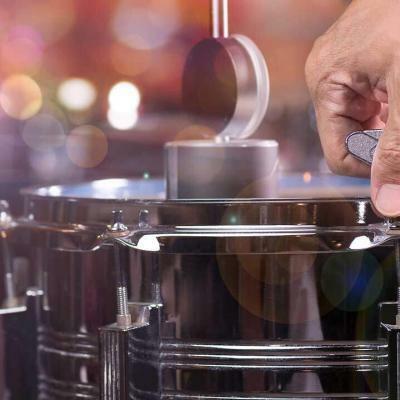 This can be achieved by positioning the different drum components within an arm’s reach, drumstick included. Drumming is more than just banging a drum set while the rest of the band try their best to make sense of the noise the whole group is generating. It takes skill and talent to muster your energy into something with tone and class which can guide the rest of the band into creating a cohesive composition. Sitting properly on a drum throne is a sure way to level up your skills and get your talents in check. 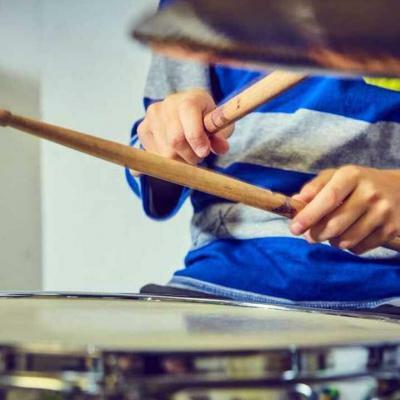 Knowing how to set up your drum throne, determining the ideal height and learning how to sit on it are also some of the things you need to learn aside from learning to bang stuff with a stick, of course.